SNOWPOD Is a magical summer and winter eco-camp, lying in the lap of Uttarakhand Himalayas, with stunning views, ample activities and a real back to nature vibe. 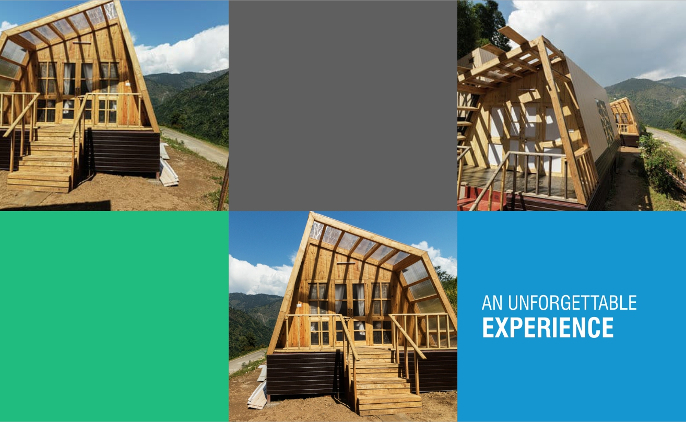 On the Indian side of Himalayas an unconventional accommodation experience awaits. The “Snowpod” eco-luxury CAMP resort” houses its guests within five igloo shaped cottages, which serves as rooms that are immersed into the natural landscape . Snowpod Makkumath is the base camp of Snowpod Chopta, we come down from Baniyakund to makkumath (situated at a distance of approximately 12km) from each other during the winter months. Snowpod Makkumath provides the utmost comfort and facilities to the people. Availability of hot and warm water. Snowpod’s own perrineal water spring located 50metres away from the resort. The makkumath area is famous for its diverse flora and fauna. Snowpod makkumath offers the perfect blend of luxury, comfort and nature, with services that are unmatchable we strive to provide the best staying experience in Chopta Valley. Nestled in the charming village of “CHOPTA”, surrounded by a blanket of glistening white snow and a panoramic mountain view, Snowpod Chopta offers an unforgettable experience at the heart of majestic Himalayas .